Winter is coming to the Southern Hemisphere, and that means it’s time for me to hit the international travel trail. It’s been a wonderful 2.5 years, but it’s time for me to go. 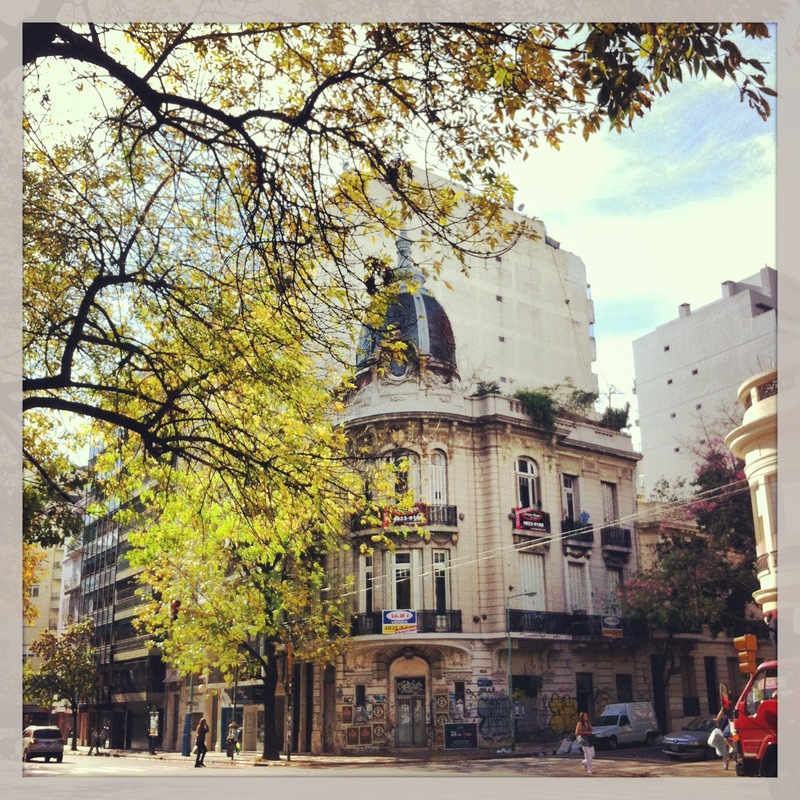 Buenos Aires, it’s not you, it’s me. You see, I thought this was going to be a 3 month fling. We’d have fun, drink wine, eat empanadas, and then I’d go back to my normal life. That’s right people. 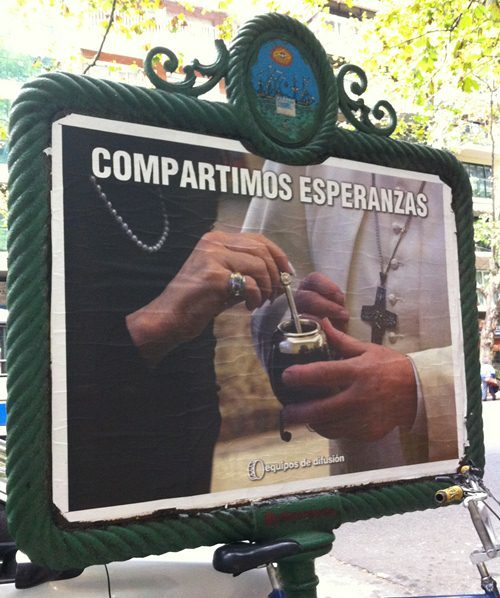 From now on the Catholic church’s representative of God will be drinking mate, giving communion with Malbec and cheering for Argentina in the 2014 World Cup… Goooooool! Argentines are pretty proud of themselves. 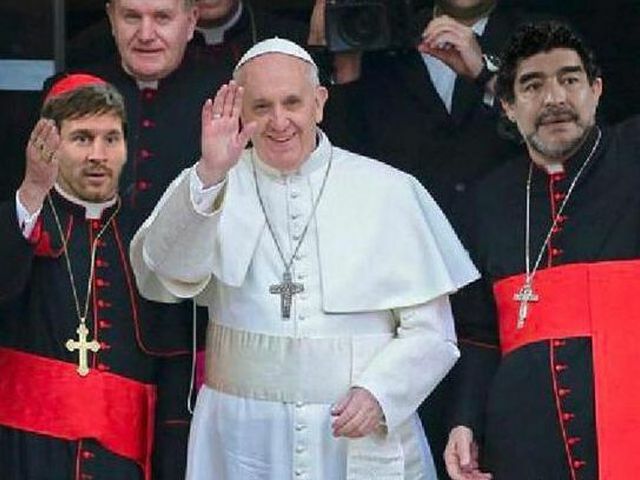 The announcement of Jorge Mario Bergoglio, a.k.a Papa Francisco, was met with Pope cheers, Pope posters, Pope flags and Pope World Cup memes. In a country where people make the cross passing churches on crowded public buses, there are more than a few devote Catholics. 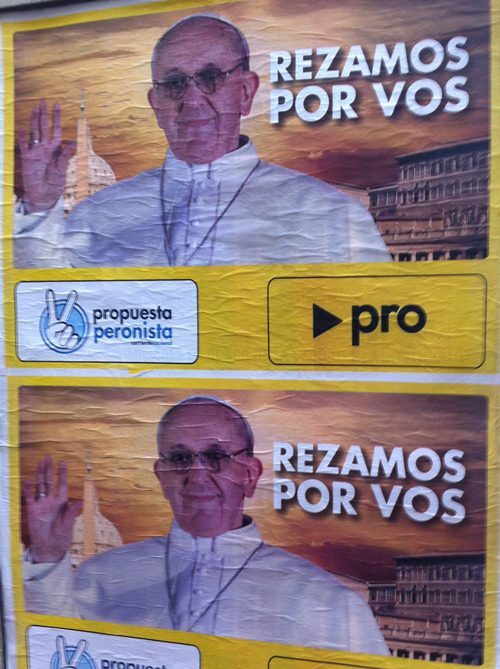 Fun Fact: Until 1994 the Argentine Constitution required the President to be a Roman Catholic. 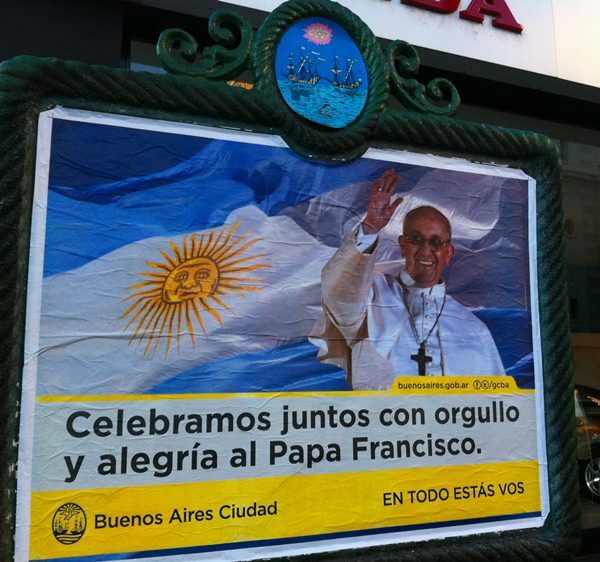 Many seem to be skeptical about what an Argentine Pope means and are cynical about the new Pope’s inaction during the dictatorship in Argentina (1973 – 1986). This is particularly notable in Kirchernistas, or supporters of President Cristina Fernandez Kirchner. The Roman Catholic Church is iconic with the old power structures (remember colonialism?) and Cristina Kirchner is very much the embodiment of the new independent Latin American populist politician (see: Chavez). While it remains to be seen if/how this tension plays outs, one thing is for sure, not even Crisitina would miss out on such a political golden moment. A long, long time ago, there was a lot of money in Buenos Aires. 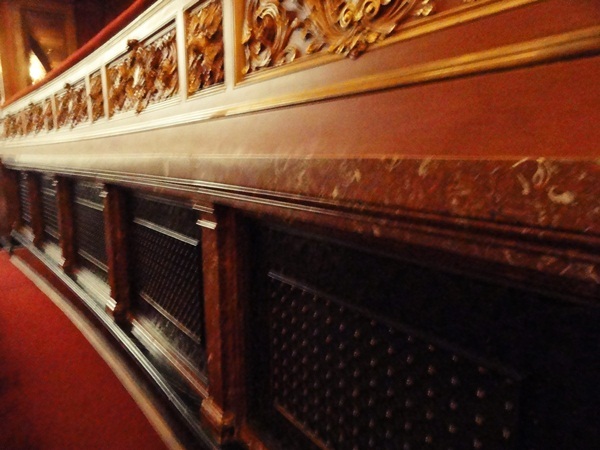 So much so, that they built a ridiculously classy and fancy European style theater in 1908. 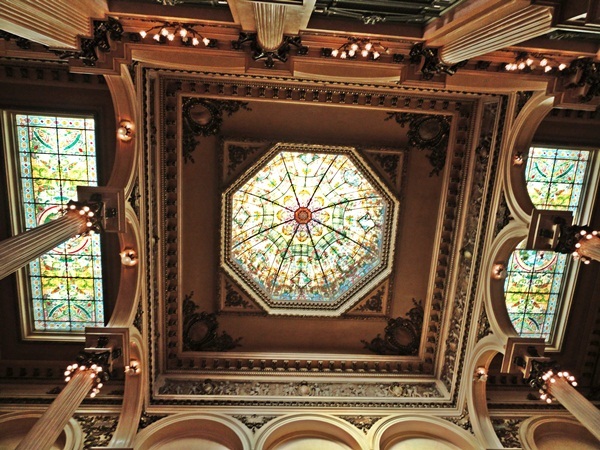 Straight outta Europe, the caballeros and damas of Buenos Aires would come here to get their teatro on. Luckily today, they still do. 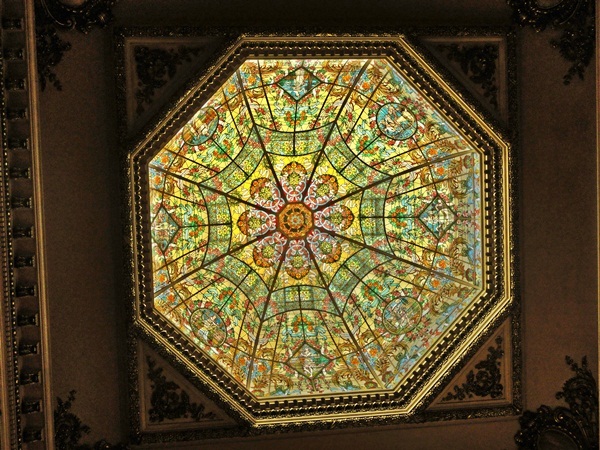 Teatro Colon recently went through a massive renovation, helping to make everything shiny, gold and simply stunning. If you have the opportunity to see a play or take a tour of the theater like I did, I highly recommend it. 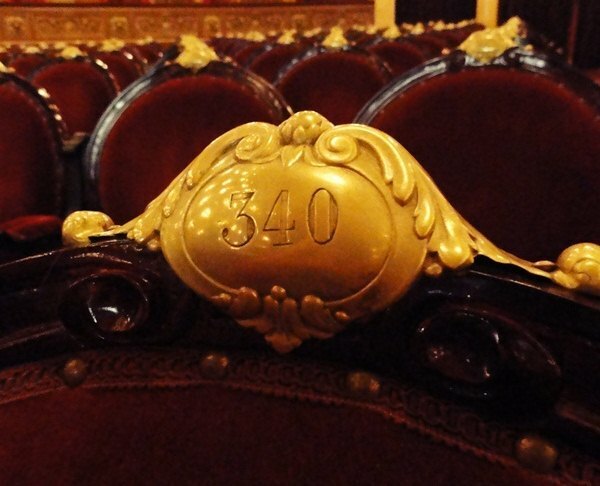 Teatro Colon is rated in the top five concert venues in the world based on acoustics. In the early 1900s, Argentine widows had to spend the first 2 years of widowhood outside of the public eye (and I thought Cristina Kirchner’s 2 years wearing all black was bad). 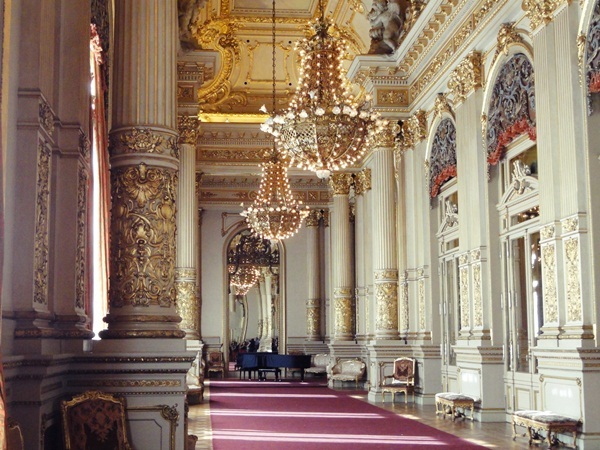 But the widows could still go to Teatro Colon and listen to the opera and plays in these special secret rooms, pictured above. They look like heating vents and you can’t see anything from inside them, but this is as close as the widows could get to nightlife during their period of mourning. 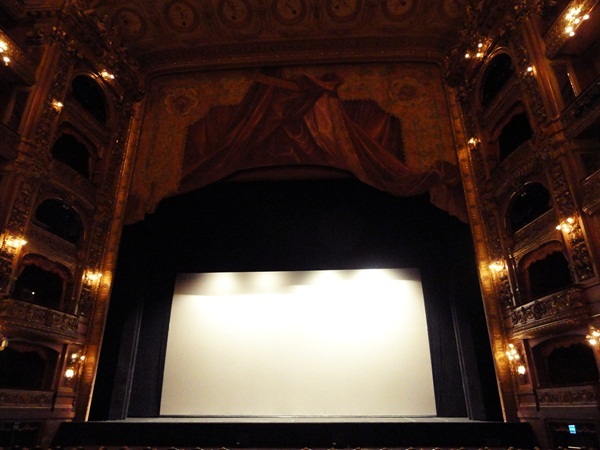 If you’re in Buenos Aires, it’s definitely worth checking out Teatro Colon. Tours area one hour long and leave every 15 mins. Show up and if you’re foreign, hand over the 110 pesos. Or get your Argentine friend to buy them for a bargain of 30 pesos each. You won’t regret it. 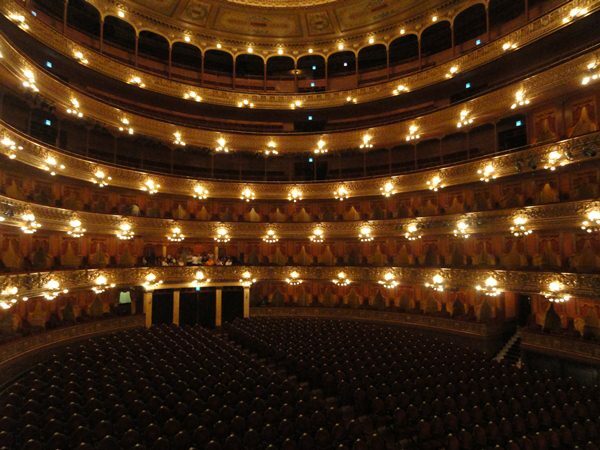 You can find more information, including their latest shows, ballets and operas on the Teatro Colon website. Follow me in my travels by subscribing to my blog!